Chandigarh: Retirement age of doctors who are currently in government service in the state of Haryana has been increased from 58 to 65 years. The decision however comes with a rider. 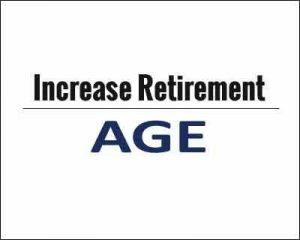 The major condition for increase in retirement age is that those granted this extension are to perform clinical duties alone. On attaining the age of 58 years, “they will cease to hold administrative posts of Deputy Chief Medical Officer, Chief Medical Officer, Director, Additional Director-General, Director -General or any other equivalent post”. The government is expected to take out notification to this effect soon.The Chief Minister, Manohar Lal Khattar, chairing a meeting of the state cabinet on Tuesday gave his consent for the same. His approval covers both the revised retirement age, as well as the re employment norms for it. The Chief Minister’s decision comes on the basis of the recommendations forwarded by the Chief Secretary, DS Desai headed committee of officers. Those practitioners who wish to retire after attaining 58 years of age and not work in a clinical capacity have the freedom to seek voluntary retirement at the age of 58 years with a full pension drawn. Those desirous of continuing in clinical capacity beyond the age of 58 years will have to submit their applications two months prior to attainment of 58 years of age along with their hospital of choice. The applications will be examined on the basis service record and conduct for the last ten years. Extension beyond 58 years will be granted only if the service record of these years has been satisfactory, no chargesheet for major penalty is pending and integrity has never been doubtful.However, if a chargesheet for a major penalty is pending, the extension in service may be granted subject to outcome of the pending disciplinary proceedings, adds Indian Express. Re-employment of doctors who have already retired from Haryana Civil Medical Service (HCMS) and are below 65 years of age will be made “on the principle of last pay drawn, minus pension for discharging only clinical duties in a hospital of their choice”. Another category of re-employed is to include medical practitioners who are below 65 years of age and have at least one year remaining to attain the new retirement age . Those falling in this category, on the date of filing application, will be eligible for re-employment against vacancy. The pay would be notionally fixed in the revised pay scales after January 1,2016. On this basis, their revised pension would be deducted from the revised pay and the remaining given as salary. The doctors will be entitled to a Dearness Allowance as and when announced by the government . It would be admissible towards pension and revised salary. The Non Practicing Allowance will also be admissible on the revised pay. On re-employment, such doctors shall suitably be re-designated as Medical Consultants, Senior Consultants and Consultant Specialists, depending upon the educational degree one possesses. If same rules applied to Politicians and Judges more than half of seats Will remain vacant….any way we learn mistakes or by experiments, Let it be a small number to begin with rural areas, instead of bigger towns.